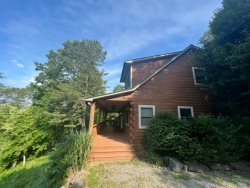 Great Smokys Cabin Rentals are located in Western North Carolina on the outskirts of the Great Smoky Mountain National Park and the Nantahala National Forest. All of our cabin rentals are within a 45-minute drive from Bryson City NC. When you reserve your cabin, you are given specific directions to the front door. You check yourself in at your own pace, after the posted check-in time of course. Four main highways serve the Bryson City area — US Highway 441 from the north and south and US Highway 74 & 19 from the east and west. Interstate 40 passes just to the north.